Elegant and stately, this house plan features a Palladian-style window, which accents the front facade and floods the two-story foyer with light. 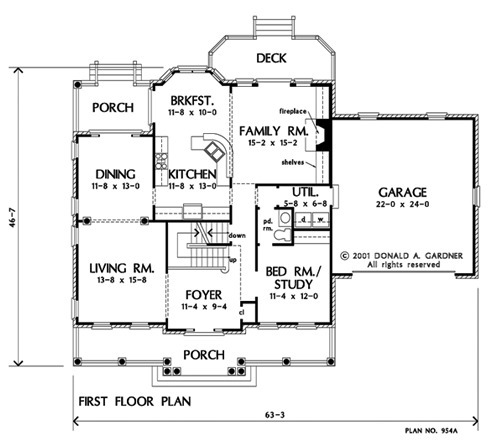 The floorplan is open, yet has room definition for those seeking a truly Traditional design. Columns, French doors, decorative ceilings, built-ins, and a second-floor balcony enhance the interior. 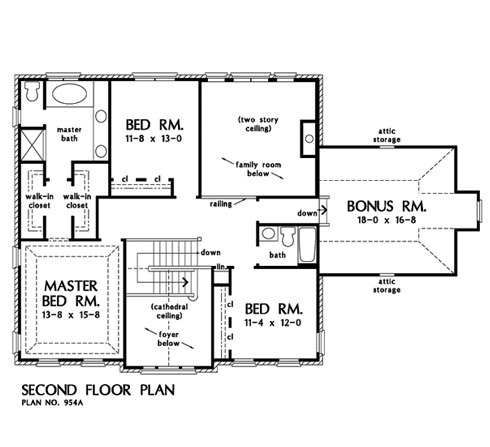 2nd Floor: 1106 Sq. 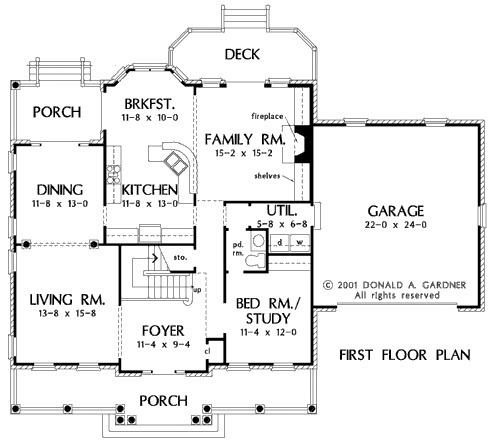 Ft.
House Dimensions: 63' 3" x 48' 1"
Great Room: 15' 2" x 15' 2"
Master Bedroom: 13' 8" x 15' 8"
Foyer (Cathedral): 11' 4" x 9' 4" x 19' 9"
Great Room (2 Story): 15' 2" x 15' 2" x 18' 1"
Kitchen : 11' 8" x 13' 0" x 9' 0"
Breakfast Room : 11' 8" x 10' 0" x 9' 0"
Bonus Room : 18' 0" x 16' 8" x 9' 5"
Master Bedroom (Tray): 13' 8" x 15' 8" x 9' 6"
Bedroom #4 : 11' 4" x 12' 0" x 8' 0"
Porch - Front : 40' 11" x 6' 0" x 0' 0"
Porch - Rear : 12' 0" x 8' 0" x 0' 0"
Deck / Patio : 19' 10" x 7' 0" x 0' 0"
Living Room : 13' 8" x 15' 8" x 9' 0"
Balcony : 21' 0" x 5' 4" x 8' 0"
Storage (Other) (Sloped): 6' 4" x 3' 4" x 0' 0"